I love sequins and anything sparkly (what girl doesn't?) so I was immediately drawn to this top. The blue and gold complement each other really well. 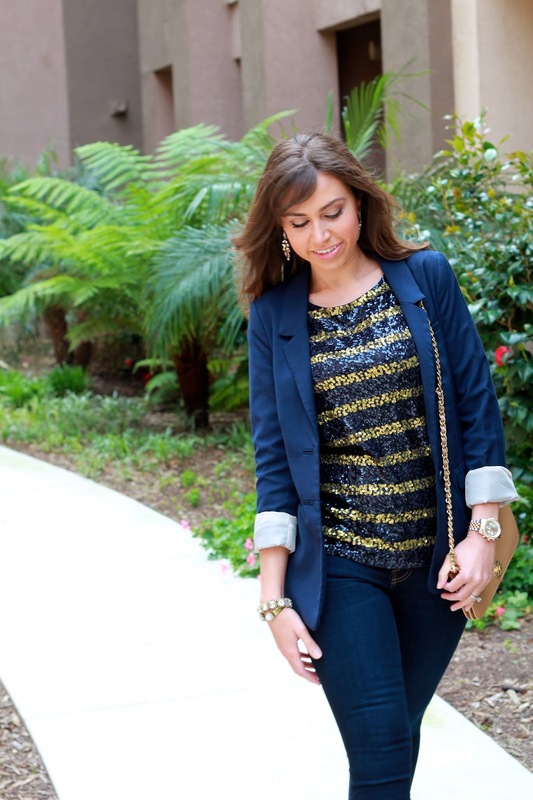 I paired it with some skinny jeans, blazer and heels, perfect for a dinner or night out. You are so gorgeous! And I love the sequins, your earrings look great with them!